Stock options have long been a way for startups to incentivize and retain employees. But issuing them brings with it regulatory requirements. In the wake of the Enron accounting scandal in 2001, the government started requiring companies to properly value stock options they grant employees. Enshrined as section 409A of the tax code, the rule means that startups need to regularly undergo audits to establish the value of the common shares it hands out as options to its employees. Steve Liu is Head of Solium Analytics, a subsidiary of Solium, which provides 409A valuations for VC-backed startups, among other professional services.  In this capacity, he has overseen the execution of the group’s portfolio of over 6,000 valuation opinions during his tenure at both Silicon Valley Bank and Solium. We recently spoke to Steve about when startups need a 409A valuation, and what he looks for to determine fair market value for the company and the common stock it grants to employees. What is a 409A value? Until the Internal Revenue Service introduced the 409A, startups lacked a framework to price the options they issued. Today, they’re required to value their company and shares so that they know the value of the options they issue their employees. We read these reports where Company X raised money at Y valuation. How does a 409A valuation compare to those valuations? When a company raises capital, it’s selling preferred shares, which provide a certain level of security for professional investors. The valuations you read about in the media are the post-money value based on the preferred price, not the common price. Essentially, if there’s a liquidation, investors who hold preferred shares are first in line to get back their investments. Preferred shares also typically afford the investor some say in the company strategy. Common shareholders don’t have those privileges. The 409A valuation recognizes that certain benefits simply wouldn't be recognized by a common shareholder, particularly minority common shareholders. It takes into account all the various rights and privileges that don't exist with common shares and puts that into a valuation framework. 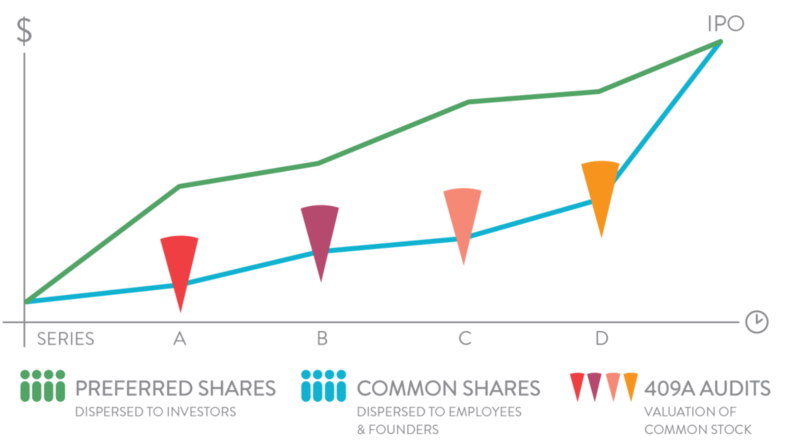 For an early stage startup especially, there could be a significant difference in value between preferred-share and the common-share options being granted out to employees. Are companies required to have a 409A valuation? When are subsequent valuations required? Typically, the first time a company would be required to have a 409A is when it raises its first round of capital, or any other type of financing (e.g., convertible debt, SAFE). It is also best practice to refresh the 409A value after each subsequent round of capital raising. There's a requirement to have an objective appraiser, so the process usually starts with finding a valuation provider. Does a company getting a 409A valuation want it to be high or low? We're sensitive to that. At the same time, an established framework takes into consideration the startup’s stage of development and many other things to ascribe value. From that perspective, a valuation can be a science and an art to capture the upside associated with the startup, as well as all the risks inherent to developing a company. What are the things you look most closely at when you calculate a 409A valuation? For an early stage company, we pay a lot of attention to the rounds of financing. When you have professional investors pricing the round, it serves as a benchmark. Beyond that, we'll look at financial projections, knowing that they’re easier to benchmark against public comps for a mature company and that for earlier-stage companies, there's significant volatility in the forecast. The preference stack in the cap table (for those startups that have raised capital) also needs to be factored into the valuation. In any scenario, preferred shareholders get paid first, and common shareholders won’t get paid until after a certain valuation threshold has been met. Let's say my early stage company has just raised a round, say $5 million at a $20 million valuation. But I have only a few customers, and my product doesn't yet have a lot of traction. How would you go about conducting my 409A valuation? This is where the 409A framework comes into play. For an early stage company where there isn't a clear path to an exit, an option-pricing model is typically used to distribute value. When you're benchmarking off of the preferred share price, you're leveraging this model to get at the implied values for all the other shareholder classes. In other words, you start with the round of financing and work your way backward to arrive at an implied value for both the startup as well as the common price. This is contrary to traditional valuation methodology where you apply a top-down approach by first determining the business value of the startup, and then use an option-pricing model to distribute value. Valuing startups around a financing event tend to be a fairly straightforward process—there isn't a lot of room for subjectivity as the preferred round provides a concrete benchmark. The subjective factors within the option-pricing framework largely revolve around volatility (proxy for business risk) and term (time horizon to exit). If you’re distanced from a round of financing, the “art” of valuation becomes more prevalent as you begin to give greater weight to financial projections (taking into account the volatility of “hockey stick” growth) and market movement (within the startup’s industry sector). What about a more mature company that has some actual results? This is where it starts to get more interesting. You can rely more on the company's financial forecast, and public comps become a more reliable benchmark. With public comps, you’re looking at revenue multiples. And if the company is at a stage where a potential exit is possible, you can take a look at M&A comps. You can also run a discounted cash flow approach, which combines consideration of the company's future cash flow and projected financial performance, then uses public comps to derive a discount rate. What are they key risk factors you look for in a particular company? Some of them are market-related. Most of our clients are in nascent markets, offering new products and new services, so risk is associated with product development. We consider the competitive landscape. We look into whether the company has raised enough capital to break even or get to free cash flow. And we consider how the market responds to the company's products or services directly relevant to its growth prospects. When you’re working with later-stage companies, things like unit economics start to play a much larger role. We try to assess the path to profitability. What is the role of the 409A valuation when a company is facilitating an aligned-liquidity program? The 409A valuation typically will act as a guidepost for secondary transactions, especially as it is growing and looking to execute on a number of secondary transactions that may be priced differently than a common value implied by the 409A. It ultimately impacts the valuation conclusion coming from the 409A. Often, for earlier-stage companies where you have one or two individuals (the founder or one of the original employees) liquidating their equity, the liquidation isn’t going to move the needle on the 409A. But ultimately, the 409A is pulling in all these various benchmarks of value, from investment rounds to financial performance to secondary transactions. But it's important to parse out the circumstances under which the secondary transactions were completed. For a secondary transaction, what are the relative impacts on the 409A valuation if the buyer is the company vs. the current investors vs. an outside investor? As a general rule of thumb, the “closer” a buyer is to the company (e.g., access to information, level of due diligence, board representation), there’s a higher potential impact of that secondary transaction on the 409A. Using that rationale of an “informed investor”, current investors could have a better understanding of the risk/reward profile of the startup than an outside investor. Of course, as one might expect, there is a myriad of permutations (and other considerations including stage of development, sales frequency and buyer/seller-specific incentives to purchase/liquidate) so ultimately, each secondary transaction has to be evaluated on its own individual merits. What takeaways or parting advise would you offer a founder who's trying to manage the company's 409A valuation as the business grows? Talk with a valuation provider who you trust, who understands the VC ecosystem from early-stage formation to exit—every part of the cycle has its “pain points,” and it’s good to know what they are. Ultimately, you may not need a 409A valuation (or you may need more than you think! ), but given the important implications of a 409A for employees/recruiting/compliance, you deserve to have an advisor help you navigate through that decision-making process. Solium Capital Inc. Disclaimer: The information provided here does not constitute professional advice. This publication has been written in general terms and therefore cannot be relied on to cover specific situations; applications of the principles set out will depend on the particular circumstances involved and we recommend that you obtain professional advice before acting or refraining from acting on any of the contents of this publication. Solium Capital Inc. accepts no duty of care or liability for any loss occasioned to any person acting or refraining from acting as a result of any material in this publication.